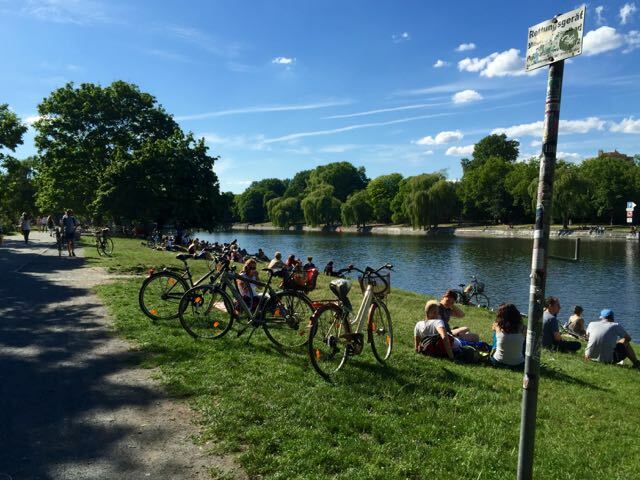 The Landwehrkanal is a canal running parallel to the river Spree. 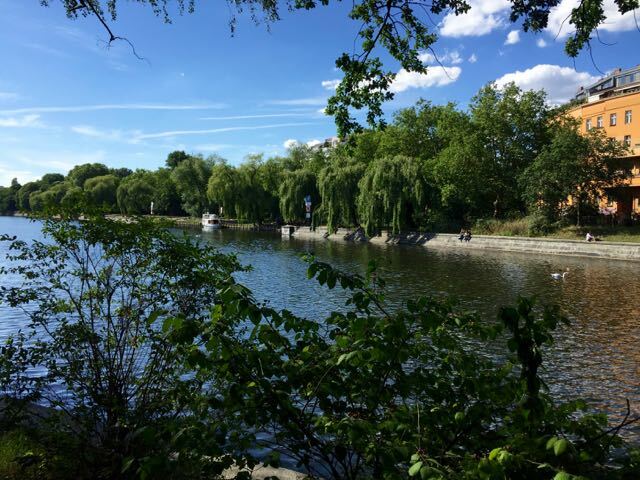 It is beautiful and walking along the river bank is a good way to explore part of the city. Especially during the warm season there is much to see. 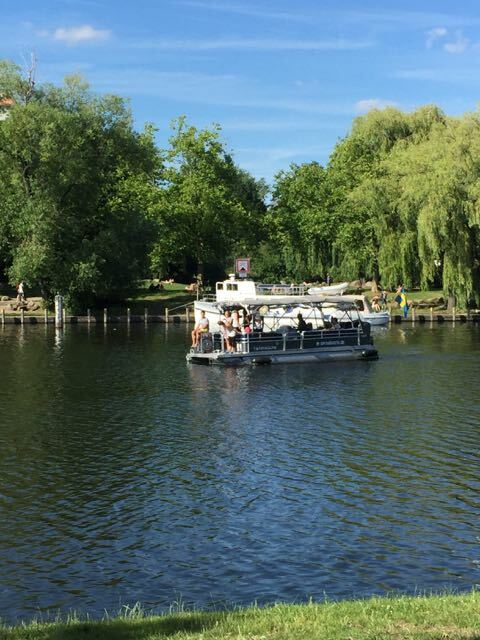 Particularly lovely is the Planufer, which is close to the wonderful Admiralsbrücke. 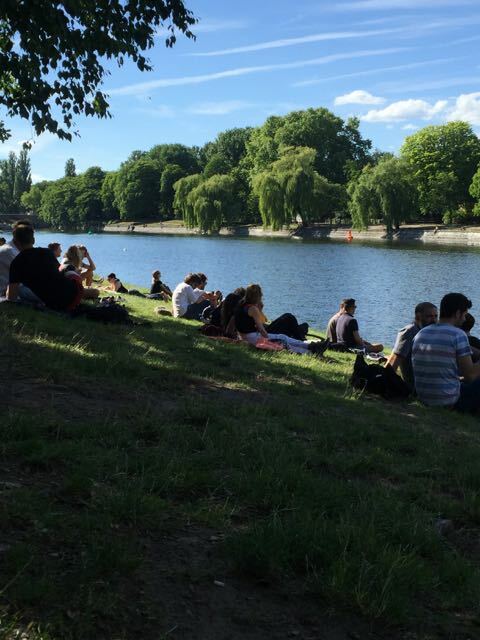 There are big lawns, directly at the canal, where people come to chill out when the weather is nice. Many bring picnic blankets and food, others just take a book with them or meet up with their friends. You can lie in the sun or sit in the shade of a tree. It is an enchanting place, since the river banks are very green with lots of trees. From time to time you can watch boats pass by and just relax. If you are yearning for a break from the hustling and bustling city life without actually leaving the city, then this is the place to go to.